In his childhood he had a privilege to enter the beautiful world of music. Took 6 years of piano school lessons and really didn’t like it from the start. 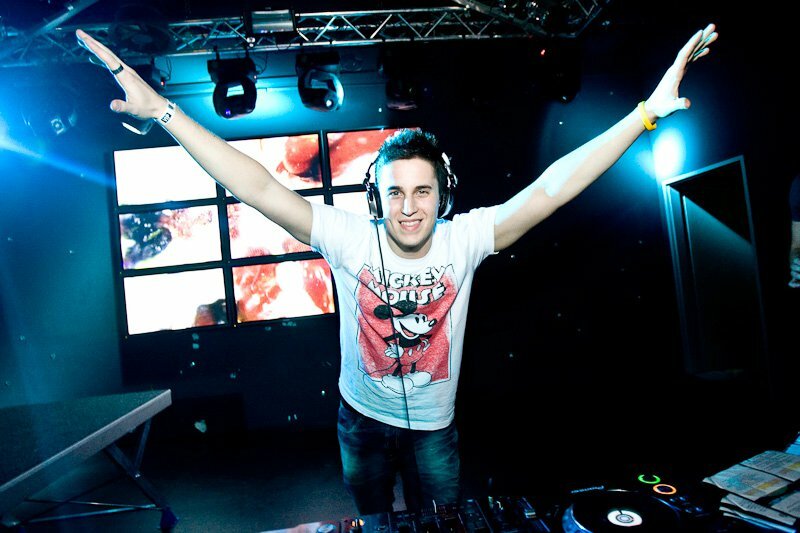 His professional career as a DJ started back in the year of 2004. As a commercial performer he knows how to seduce the human ear and brains with the selection of music and its genres. Getting a lot of experiences in his home country and abroad, mostly in Greece, Croatia, Italy, Slovakia and Austria, he performed in most of the popular clubs and events. The mood of this soul classic is sad, but somehow I always find myself coming back to it on a sunny day. The lyrics are about Gil Scott’s feelings about home. He has a history of drug abuse, so “home” for him is full of dark feelings and emotional scars. Gil Scott-Heron was one of the most revolutionary musicians in history of music. He has just recently passed away (May 27, 2011). You can find out more about him and his work on his wiki. General Woo @ GalaHala, 24.2. If you never knew him then you’ll prolly never know him. Anyone in favour for a fantastic comeback of a living legend in the Balkans’ hiphop scene really got his ticket’s worth on Friday. 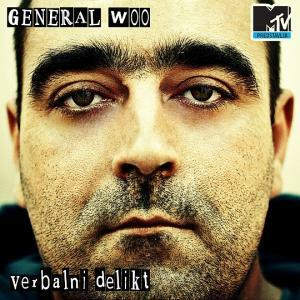 Let us remind you: General Woo, one half of the Croatian duo called Tram 11 visited our capital to promote his latest solo effort called „Verbalni delikt“ (which you can download for free by clicking on this link). The album was released on November 11th, 2011 (Tram 11-11-11 :) ), and it features 17 songs and four interludes. The album is as coherent as it possibly can be, regarding its length. The lyrics are straight to the point social awareness, with minimalistic old-school beats provided by the beatmaker Sett and co. (and co. because the whole album should have been produced solely by Sett as his beats are one level above others). The themes vary from meta-rap lyrics, Croatian and Ex-YU nationalism, war profiteering – ergo, the whole 90s Balkans’ shebang, the results of which we are eyewitnessing today in this part of the world. The most impressive thing, though, is the level of „ballness“, gutsiness General Woo has, because the man could easily have made (another) plastic-fantastic talk-about-nothing-and-sell-records-to-the-teenagers album and make money. Somewhere in between he received some sort of enlightenment, which made him aware of the fact that he’s a modern slave. And with this solo effort he desperately tries to stop being one. It’s also a sort of an intimist manifesto of a successful introspection and at the same tima a post-cathartic confession. Now about the show. Upon arrival at about 11 p.m., the GalaHala courtyard was packed with familiar faces I’m always glad to see. It’s actually nice to have a place you can go to at least once in a couple of months and be pretty sure you’ll meet the same people over and over again. The show started about half an hour later, and it started great, with DJ Dirty Harry spinning some (too)familiar Golden Era rap hits to get the crowd inside the club goingand then suddenly scratching a recognizable voice, which shouted the name of „General Woo“. The General marched on stage with his sidekicks and started with his brand new songs „Zašto sada šutite?“ („Why are you silent?“), „Nikad neće biti bolje“ („It will never be better“), „Banksteri“ („Banksters“ = Bankers + Gangsters) and „Kad se prošetam Balkanom“ („When I take a walk through the Balkans“) just to name a few. Later on he invited some B-boys from the crowd to get on stage and do their thing, with one of his sidekicks (Medo) beatbox-replicating the beats of Roots Manuva’s Witness beat, and alike. Then it was turn for some Tram 11 undisputable classics and in an hour or so, the show was over. It was intense from the beginning to the end. The best part was the crowd’s reaction. I was really surprised that a truly big portion of the crowd already knew many of the songs by heart and that they were energetic and enjoying the show. The afterparty could have been better, though. That’s about it. We were grooving until the morning, enjoying the rest of the evening, eagerly waiting for the next show, hoping it would duly deliver (as this one surely did). To summarize, it wasn’t nearly the first General Woo show I attended, but it was by far the best one, yet.